The point where the Barwon River ends and the Darling River commences is a place of enormous cultural, recreational and economic importance for the Ngemba people, and for many other Indigenous groups in the area. This is also the site where the Baiame’s Ngunnhu (Brewarrina Fish Traps) are situated, an ingenious structure used by Indigenous people for thousands of years to catch fish. The fish traps consist of a series of dry-stone weirs and ponds arranged in the form of a stone net across the Barwon River. Here, the river is fast-flowing and shallow, enabling the capturing of fish in the past. 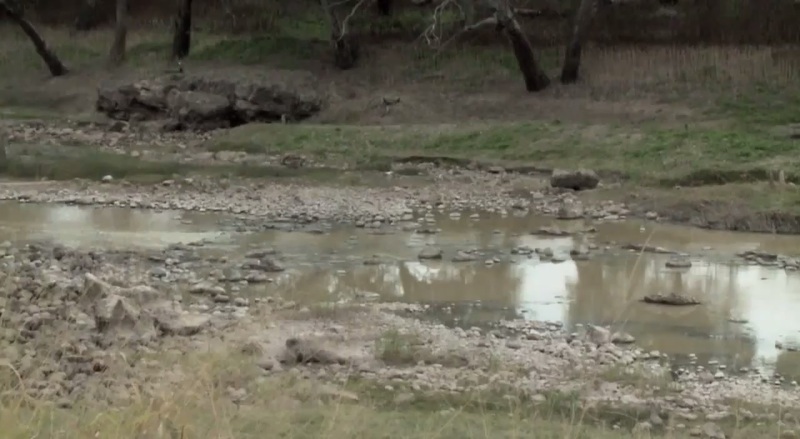 Since 2005, the Brewarrina Fish Traps have been on the Australian Natural Heritage List. 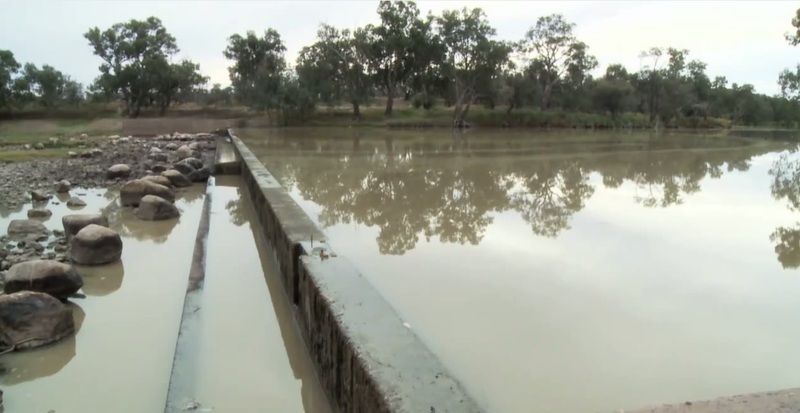 However, the Brewarrina weir, opened in 1971 to provide a water supply for Brewarrina, has adversely impacted upon the integrity of the fish traps, and on the ecology of the river. The weir has slowed the flow of the river, and there are now lots of little islands, where in the past there was only one large island. There is also a build up of silt that is now entering the fish traps.The fish traps have endured significant damage as a result of the weir, and have suffered from the loss of traditional management and maintenance. Lionel Williams, an Aboriginal man from the Ngemba language group and long-time resident of Brewarrina, discussed these issues as part of an inteview for the Western Catchment Management Authority (now Western Local Land Services) Through Our Eyes Project. He is concerned about the health of the Barwon-Darling River system, particularly the decline in water quality, flows and numbers of native fish. He is highly critical of the Brewarrina weir and its effect on the fish traps, and is concerned that in 10 or 15 years time, there won’t be any river left. Lionel also discusses the importance of the river in his life, and in the life of his community. Diane Kelly, an Aboriginal lady from the Brewarrina area expressees similar sentiments as Lionel Williams in her interview for the Through Our Eyes Project. She recounts many happy childhood memories of growing up on the Barwon-Darling River, and how important the river is to her community. She is concerned about the impact that carp have had on the river and the biodiversity in the area. There are no longer wild banana and orange trees that used to be in the area. She emphasises the importance of the Brewarrina Fish Traps as part of the Indigenous heritage and culture, and the sharing of knowledge about the culture, particularly with the Indigenous children. Many groups are working together to protect the Brewarrina Fish Traps, and they are recognised as a heritage site in New South Wales. The recent completion of a stone fish ladder in the Barwon River at Brewarrina will complement the existing ancient fish traps. To find out more about the Brewarrina Fish Traps, visit the NSW Government Environment and Heritage Website. Related stories on Riverspace are Through our Eyes and Dharriwaa – The Narran Lakes, as well as True Tales – Aboriginal Fisheries Management. Article adapted from the NSW Government Environment and Heritage Website, and the Through Our Eyes Project videos.